His long-time industry expertise has enabled him to connect with the China Chamber of Commerce for Import and Export of Textile and Apparel (CCCT. His long-time industry expertise has enabled him to connect with largest textile and apparel trade agency in the world. Prescott, through this one-of-a-kind show, has brought $2 million in investment to Miami and boosted local tourism. "In 2017, nearly $8 billion in apparel trade flowed through Florida ports and airports." Serial entrepreneur Jason Prescott believes in the future of Miami – so much so, that the Los Angeles native packed up his family last year and moved to the city, where he launched Florida’s first ever international apparel and textile show. 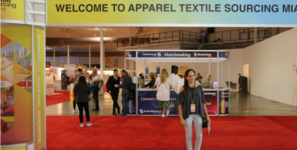 Now, Prescott and his team – with expanding offices in Aventura – are gearing up for the second act of his show, called Apparel Textile Sourcing Miami (ATSM) 2019, which is set to take place May 20–22 at the Mana Wynwood Convention Center. The largest apparel and textile sourcing show in the Southern U.S. and Latin America, ATSM is focused on global trade and poised to bring thousands of out-of-state and international visitors to the Magic City. Not only is Prescott producer of ATSM – and its sister shows in Toronto (Apparel Textile Sourcing Canada) and Germany (Apparel Textile Sourcing Germany) – but he’s also CEO of JP Communications Inc., the highly successful publisher of the leading online international trade platforms TopTenWholesale.com and Manufacturer.com. His long-time industry expertise has enabled him to connect with the China Chamber of Commerce for Import and Export of Textile and Apparel (CCCT), the largest textile and apparel trade agency in the world, which supports the production of ATSM. He has also attracted the participation of dozens of other apparel and textile organizations – from some 15 countries – all of which will have a presence at the May show. “We at ATSM are so grateful for the support of all our international partners, and our community and business partners in South Florida, each of whom has been instrumental in helping us make this show a success and with whom we look forward to growing,” said Prescott said. ATSM 2019 event – which presents three days of networking, seminars and fashion shows and connects Southeastern U.S., the Americas and the Caribbean to the production world of apparel, textile, and fashion – will host more than 300 international and domestic manufacturing companies exhibiting a wide range of products and process solutions in the field of manufacturing and sourcing services. The 2019 event is expected to double in size from this year’s inaugural show. Prescott, through this one-of-a-kind show, has brought $2 million in investment to Miami and boosted local tourism by attracting thousands of out-of-state and international visitors. He has awarded dozens of projects to local contractors and has brought hundreds of Chinese and other global manufacturers and respected industry experts to do business and revive “Magic” in the Magic City. In addition to CCCT, the show’s impressive list of international partners includes: Worldwide Responsible Accredited Production (WRAP), Federation of Indian Chambers of Commerce & Industry (FICCI) , Apparel Export Promotion Council (AEPC), Wool and Woolens Export Promotion Council (WWEPC), Export Promotion Bureau of Bangladesh (EPB), Bangladesh Garment Manufacturers Exporters Association (BGMEA), VESTEX Guatemala, Export and Investment Promotion Organization of El Salvador (PROESA) and PRO MEXICO. Local supporters include Moishe Mana of Mana Wynwood, City of Miami Mayor Francis Suarez, Miami Dade County Mayor Carlos Gimenez,Commissioner Dale Holness from Broward County, Commissioners Jose “Pepe” Diaz and Audrey M. Edmonson from Miami Dade County, Dr. Shanjie Li, Executive Chief Economist and CEO of Miami-based American Da Tang Group, as well as organizations such as the Greater Miami Convention and Visitor’s Bureau, the Broward County Office of Economic and Small Business Development, the Port of Miami, the City of North Miami, Port Everglades, Florida East Coast Railway, the Fashion Business Association of America, Fashion Group International, Greater Miami Convention and Visitors Bureau, the Beacon Council, the City of North Miami, Enterprise Florida and Miami International University. “The Apparel Textile Sourcing Miami Show will bring a large number of domestic and international industry decision makers to our community, and promote Florida as a premier destination for the industry and stimulate the local economy,” he said.